The traditional model of retailers investing thousands into magazine advertising is declining as these brands take publishing into their own hands, generating custom print and digital magazine content to drive customer engagement. It’s certainly been sad times for the print magazine industry, with Australian magazine, Cleo, one of the latest casualties after declining advertising sales signalled its downfall. But at the same time, the rise of retailers now maintaining their own newsrooms, in-house journalists and magazine publications is heralding an exciting new chapter of engaging customers in more innovative and creative ways. According to HubSpot’s State of Inbound marketing research paper, 84 per cent of small businesses now predominantly use inbound marketing tactics for customer engagement. Walk into any newsagency now and you will see ecommerce fashion giant, Net a Porter’s Porter magazine sitting alongside its traditional magazine rivals. Global fashion giant, ASOS, online designer outlet, The Outnet, high-end fashion brand, Acne, and Canadian retail startup, Frank & Oak, are just a few more examples of retailers generating their own creative magazine-style content, with growing success. The Outnet’s co-president of sales, marketing and creative, Andres Sosa, agrees that as time moves on, the line between retailers and traditional publishing is blurring. “There is a lot of crossover and many publishers now have some sort of retailer offering, either in-house or through their partners, but this doesn’t mean that they can’t both thrive alongside each other,” he tells CMO. In order to generate great customer magazine content to drive engagement, Sosa stresses it’s important to remember the customer comes first. “Our customer is at the heart of everything we do and content is in our DNA,” he says. “Despite being a previous-season retailer, remaining on-trend is vital. That goes for everything we do – both on and off site – from our upload, styling and social media content to our curation and the way in which we approach our customer emails. One example of the Outlet leveraging creative content to boost engagement across its channels last year was the successful ‘A-Z of Dresses’ content effort. The group worked with numerous top-tier influencers such as Candice Lake, Martha Ward, Zanna Roberts Rassi and Sarah Donaldson on the initiative. But not everyone can get it right, and as more businesses hop onto the custom content trend, the pressure is on to ensure the strategy genuinely attracts and retains customers, and doesn’t just come across as a stock-standard sales pitch. “You should avoid the ‘just because’ syndrome,” Sosa says. “You must always have a clear objective and you need a purpose and clear idea of how people are going to be able to interact with the content. If you know your customer and what makes them tick, it’s easy to generate results-driven content that is on point. In Australia, SurfStitch recently rolled out The Lens, creating what it claims is a ‘one-stop shop’ for the latest exciting lifestyle content. The publication includes professional athlete interviews through to travel diaries and featured music playlists. “SurfStitch really understood the power of building up an audience that loves the lifestyle it reflects,” Bonnici comments. “More brands are now making the effort to truly understand who their buying personas are. What Bonnici finds interesting about retailers like SurfStitch is that they are not only pulling people in with engaging content, but effectively building a community around the brand. “The people finding The Lens content on the Web obviously like surfing, and they’re going to be more likely to have like-minded friends, so SurfStitch is making its content really sociable,” he adds. Another Australian retailer to recently launched its own magazine is Chemist Warehouse. In December, the retailer partnered with News Corp Studios to publish a new quarterly glossy magazine, The House of Wellness, in order to engage consumers interested in health and vitality . News Corp Australia’s director of national sales, Sharb Farjami, claimed the magazine is a great example of the diverse custom marketing solutions open to marketers that wants to push the boundaries and innovate. “Wellness magazine will leverage our heritage of creating informative and inspirational content to engage customers and drive demand,” he said at time of launch. “Each issue is estimated to reach as many as four million affluent and influential consumers, providing a powerful platform for Chemist Warehouse’s suppliers to target audiences. Chemist Warehouse chief operating officer, Mario Tascone, sees the House of Wellness brand evolving into Australia’s biggest health media title, designed to cement Chemist Warehouse as the number one destination for wellness in Australia. More than just glossy inbound marketing? According to Bonnici, what these brands are doing through content marketing is a natural extension of traditional, solid inbound marketing techniques. “People keep saying all these brands are becoming publishers but I think they’re just doing what people in content marketing have been doing for a very long time,” he says. “People don’t want to constantly be sold products, and people that are buying into these brands are buying into a lifestyle. Traditionally, Bonnici claims brands like Burberry would create great content, but push that out in the form of standard advertising campaigns and billboards. Chief content officer at content marketing firm Mahlab Media, Martin Wanless, says brands can now really tap into what people are talking about, their lifestyles, their desires and reinforce that relationship through effective content marketing. In order to generate good content to attract and retain customers, Wanless stresses content needs to be believable, genuine and trustworthy. “The problem with traditional marketing is it is very campaign-based,” he continues. “Where brands really succeed is having a sense of authenticity, building trust and having real transparency, while focusing on building up an audience over a long period of time. But despite the dynamic and ever-evolving trends within social, content and digital marketing, Wanless is confident print is here to stay and has a serious part to play in engaging the customer moving forward. “If it is good, if it is quality, people will want to read it because it taps into their lifestyle,” he claims. 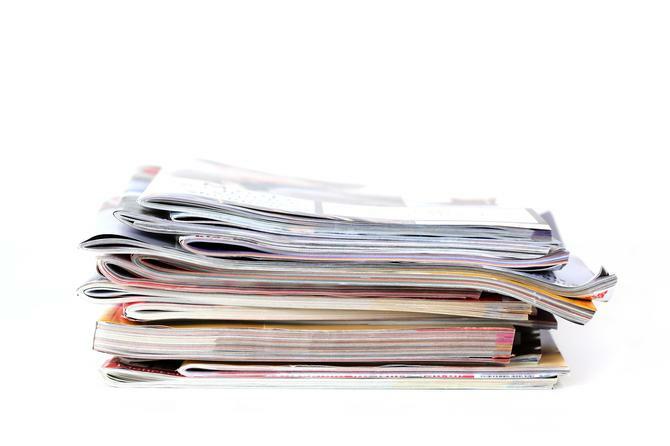 “Print is what you call the ‘lean back’ experience, while digital is more of the ‘lean forward’ experience. It’s all about knowing your audience and knowing which channels or platforms they are accessing and engaging with. Will inbound marketing make traditional ads redundant?